If you love markets then the Upper Highway is the place to be! 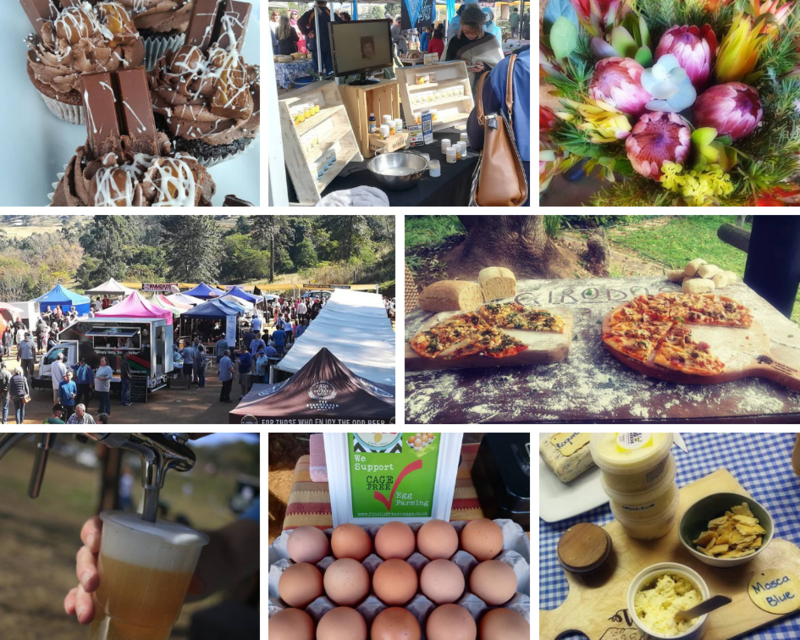 The Upper Highway Area is home to many prestigious markets from craft markets to farmers markets to vegan markets! There is an assortment of markets open to the public throughout the year. We recently discovered Drummond Farmers Market and we were blown away and simply had to share this experience with you. In the heart of Drummond, just over the train tracks from the old Thousand Hills Hotel, a market is born! 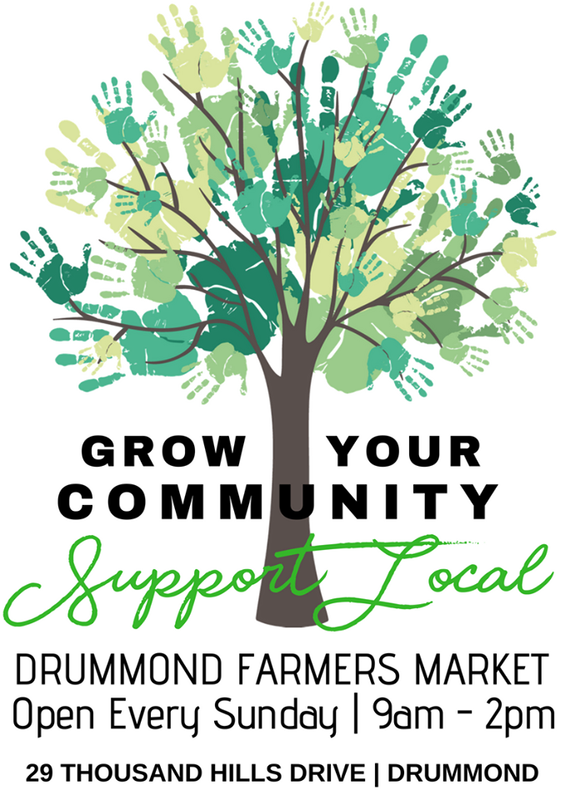 The Drummond Farmers Market is a family orientated market which promotes local farmers and artisans by creating a place where their talents, knowledge and skills can be showcased and the community are able to buy local, fresh and unique handmade products in the tranquil atmosphere of The Valley of a Thousand Hills. This unique venue is ideal for young and old with FREE ACTIVITIES for the kids such as a sandpit, bubbles, a zip line and loads of space to play! For those with furbabies, the Drummond Farmers Market is the ideal place to take your beloved dogs for an outing, just be sure to have your plastic bag and leash at the ready if you wish to bring along man’s best friend. The folks at this market are not only creative and talented at what they do but they are also very friendly and have created a space where people from all walk’s of life can come together to enjoy live music, good vibes and some of the best food and shopping in town! The aim behind the Drummond Farmers Market is to create a place where the local community can come together as a family whilst promoting a healthy outdoor lifestyle. You’ll be hard pressed to find a more relaxing way to spend a Sunday in the Upper Highway area. 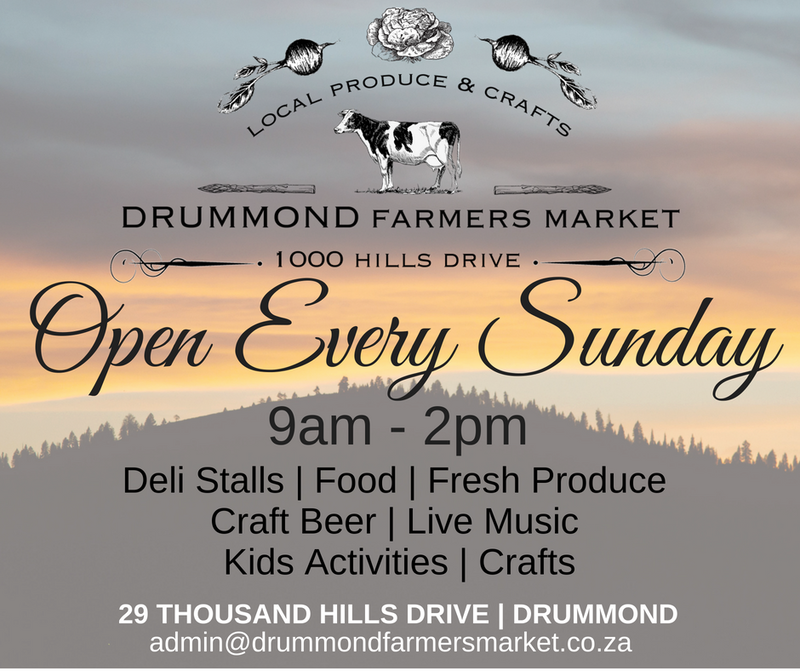 Drummond Farmers Market – a place where the local farmers, artisans and the community meet every Sunday from 9am to 2pm. We promise to change your Sundays forever.